It’s officially been fall for about a week. The days have slowly been getting colder and the nights increasingly longer and today is no exception. It would be so easy to let the chilly, gloomy day turn into a predictable, uneventful evening, but instead let’s heat things up with a seasonal cocktail unlike any other, the Brockmans Hot Collins. 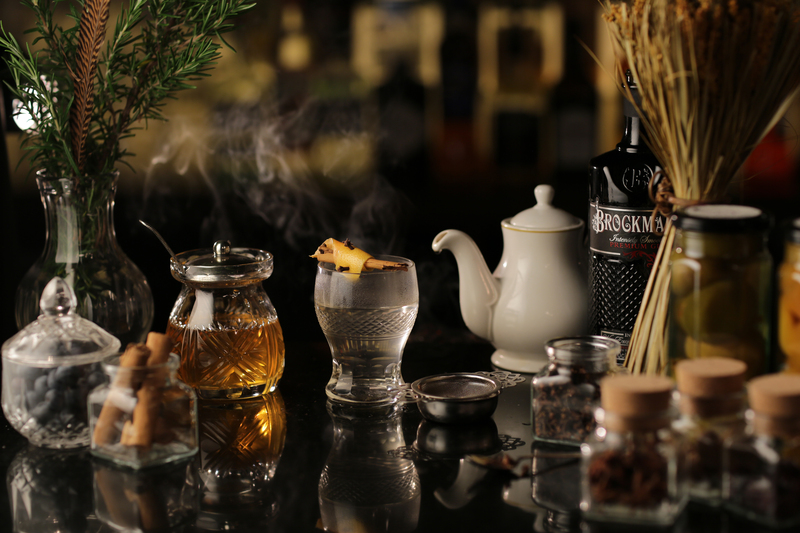 The dynamic blend of botanicals and notes of blueberry and blackberry in Brockmans Gin are key to developing the smooth, delicious flavor of the cocktail. Pair the gin with lemon juice, agave syrup and boiling water and you have the perfect drink to turn your night from ordinary to anything but with just a couple of sips! Mix all ingredients and pour into small mug or thick, heat-proof glass. Garnish with Grapefruit zest, a Cinnamon stick and Cloves. **Note: This can also be served as a batch cocktail for a party by simply multiplying the quantities.